I recently spent a few days with the great merchants and people located in Historic Biltmore Village in Asheville, NC. Since everyone is gearing up for Thanksgiving, I wanted to give you a sneak peek of the preparations they are making for the upcoming holiday season. Biltmore Village was created as a counterpart to Biltmore Estate. It was a planned community for estate workers as well as an independent community all its own. 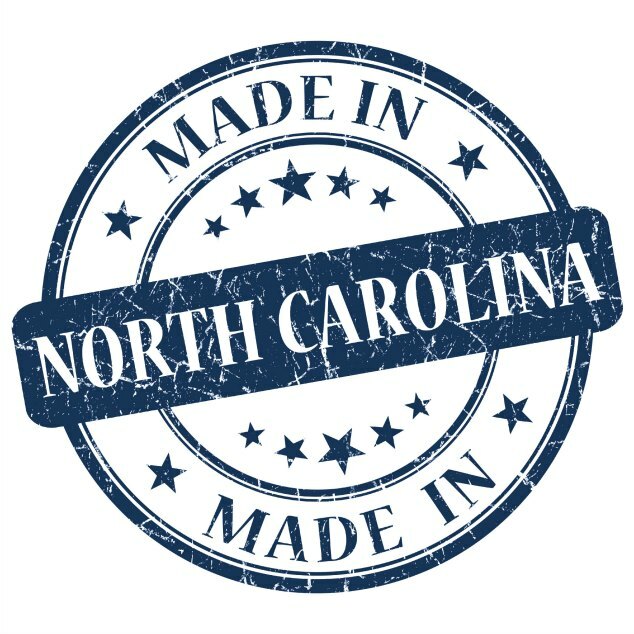 Today, it’s a bustling destination for Asheville residents, as well as visitors from all over the world. I was lucky to explore Biltmore Village and learn more about the history and operations behind the scenes, and it makes me appreciate my monthly trip to Asheville even more. Enjoy these photos as I attempt to do justice to the architectural gem and the folks who make it great. 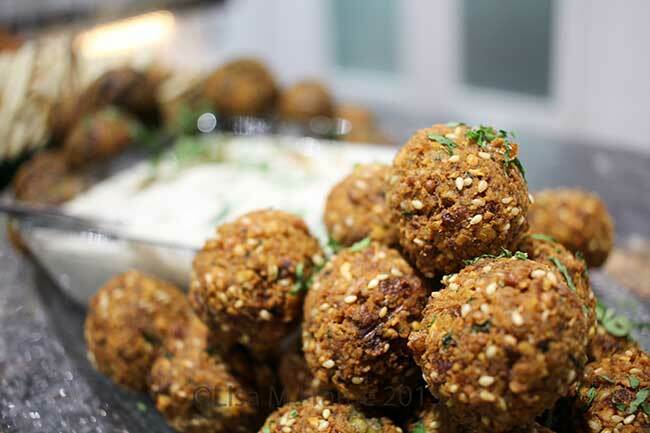 The Falafel and Tzatziki at Rezaz Mediterranean cuisine in Historic Biltmore Village is a foodies dream! While I wanted to sneak the plate back to my hotel room, I opted to leave it for the rest of the guests to sample and enjoy. Surface Gallery is the spot to go for the beginning art collector to find affordable pieces from a carefully curated collection. 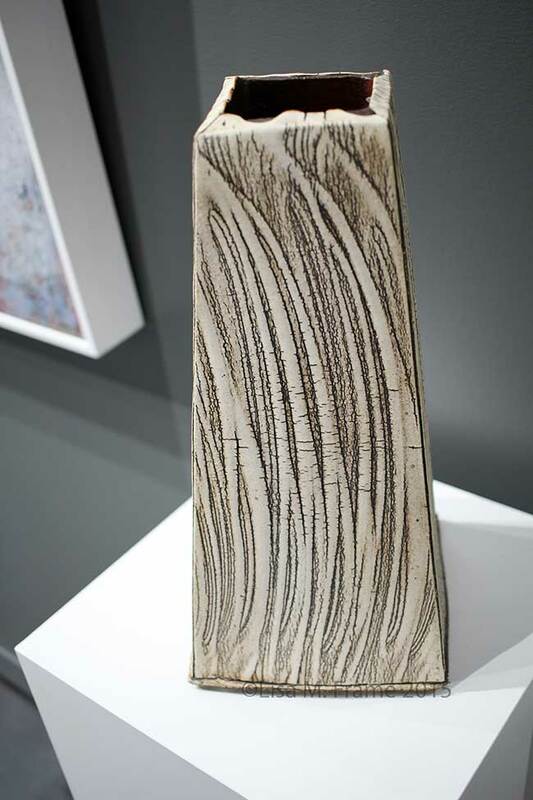 We plan to add a few pieces to our home with the guidance of the amazing curators at Surface. The collection is small and chosen with care for the patrons who visit, whether they are new collectors, or old hands. 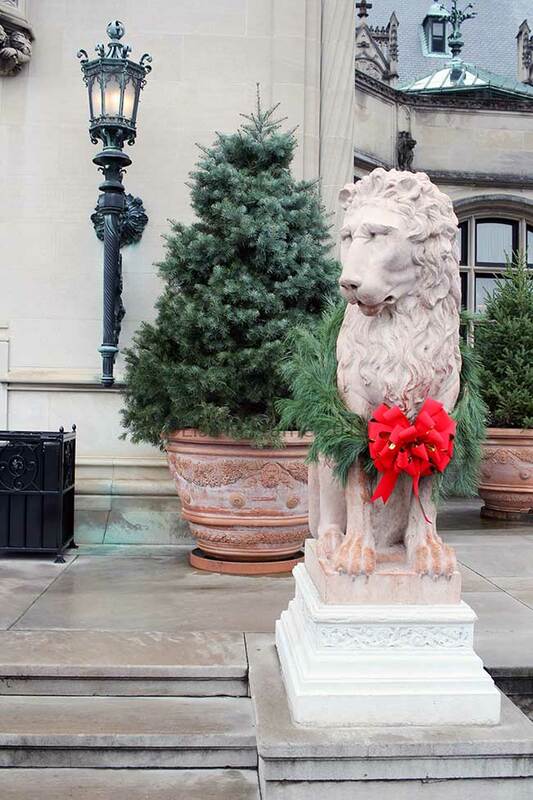 While you’re in Asheville, head over to the Biltmore Estate where the Rosso di Verona (Italian rose marble) lions await you while festooned in their Christmas finery. I’m a season pass holder to Biltmore and can still remember my first trip over 30 years ago when I was a little girl. The house never ceases to amaze me and I see something new every time I visit. 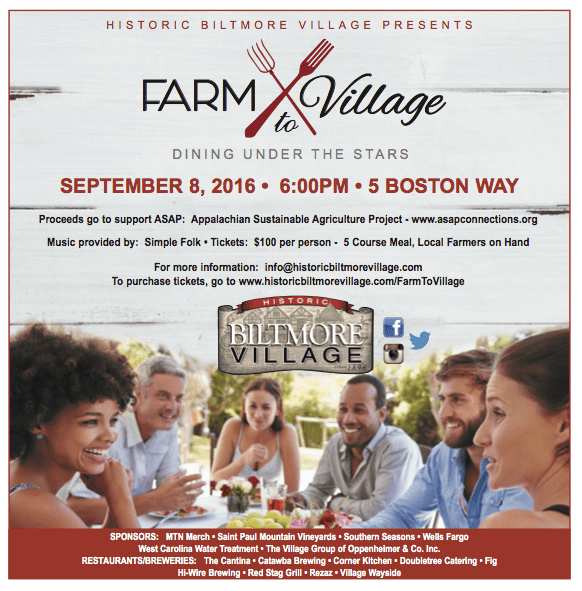 Disclosure: I attended a FAM trip with Biltmore Village, who provided my accommodations and meals. I woke up this morning craving apple butter from Imladris Farms. Smeared on biscuits fresh out of the oven, it was the perfect accompaniment to my morning coffee. Located southeast of Asheville, NC, Imladris Farm is a seventh-generation family owned land site focusing on sustainable agriculture. Their products are nostalgically produced using historically accurate methods to provide customers with the enjoyment of a quality, handmade product, while adding the concepts of “buying local”, “sustainable agriculture”, and “husbandry” to their vocabulary. Imladris Farm first appeared on my radar many moons ago while dining at the Early Girl Eatery located in Asheville, NC. If you’ve ever eaten one of their biscuits smeared with jam, you know the Berry Best Jam carefully handcrafted from the finest blueberries, blackberries and raspberries Imlardis Farms grows. On a later visit to the Early Girl, I met Walter outside selling his wares on an early spring day to folks leaving the restaurant or walking down Wall Street. His enthusiasm for farming, the products created by the fruit grown on his land, not to mention the pride in his products, reassured me that there were people out there who truly love what they do. Since then, I’ve kept a supply of their jams and preserves in my larder for personal use, to give to friends as gifts, and have shipped their products to folks all over the US. Believe me, if you want a great hostess or wedding gift, give Imladris Farm jam in their handcrafted wooden crate with an antique silver jelly spoon, and your handwritten recipe for light, fluffy, melt-in-your-mouth biscuits. I guarantee you’ll get the first thank you note! Imladris was founded on a belief in quality products achieved through sustainable agriculture. We feel strongly that plants and animals, if supported and nurtured, will yield high quality materials unavailable through conventional, commercial means. We’ve made it our goal to return to early, simpler methods of agriculture and living. This weekend has been quite possibly the most laid back and relaxed one we’ve had in quite some time. Tank had to travel quite a bit the past weeks and with school starting, it just seems like we’ve not bean able to catch a breather. Today was about R&R and family. We picked up my Grandmother and Aunt after church and took them to visit Asheville, NC, which is just a few miles from where I grew up, for Korean food and beer. What’s that you say? My Grandmother loves Korean food, having been introduced to it by us. This was my Aunt’s first time, and by the looks of things, it won’t be her last. I know, I know, “Lisa, your husband IS Korean. Why is this the first time she’s had Korean food?” I can’t answer these questions, but I can say she was nibbling off everyone’s plates and killing the banchan (sides dishes of kimchi, radish, etc.) with rapid-fire movements of her chopsticks. Afterwards, we headed to Highland Brewery to sample this years Clawhammer Oktoberfest. As always, this Mazen-style lager (toasty, rich, full-bodied) lived up to it’s name. They even had a 20th Anniversary American Saison which was, in a word, sublime. We enjoyed the much cooler weather sitting outside, watching puppies frolic while they trained their humans. Finally, we meandered home down the old Tryon/Asheville Highway, taking curves much more carefully as my Grandmother, The Kid and Tank were all enjoying a siesta in the backseat of my old trusty sedan. It was amazing to see the changes of once popular tourist areas, still somewhat popular, but looking much more tired and disheveled than normal. After all, this area was the place to film movies at one time: Firestarter, Last of the Mohicans, and, everyone’s favorite, Dirty Dancing. We told stories of floods past, reminisced over buildings washed away, chair-lifts long forgotten. As we passed the man-made Lake Lure, we discussed it’s nickname and the many reasons we wouldn’t swim in it. Finally, as we headed down Old No. 9 in Polk County to begin the final trek to their home, we discussed real estate development, secret, but not-so-secret, billionaire investments in the area, and changes desperately needed for the people who’ve lived a lifetime in these communities and their stubbornness/pride. As I headed home, I knew it was a good day. Like Ice Cube “It was a good day” kind of day. I wasn’t stressed. Just happy I’d had the day with my family, even if I did find out my Grandmother loves Celebrity Life Swap and has been watching it for quite some time. 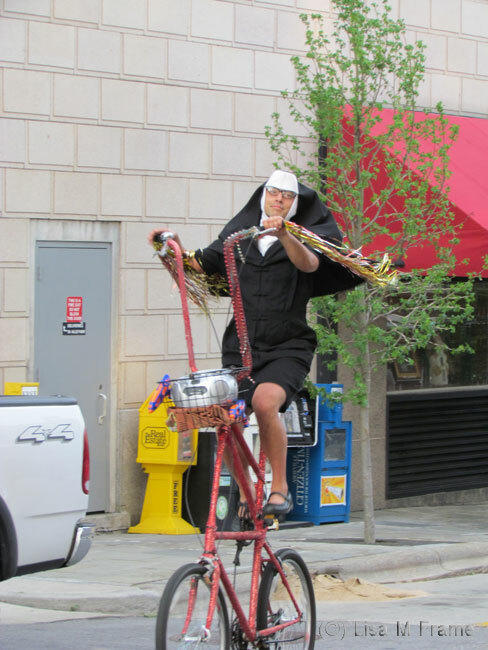 The Cycling Nun in Asheville, NC.